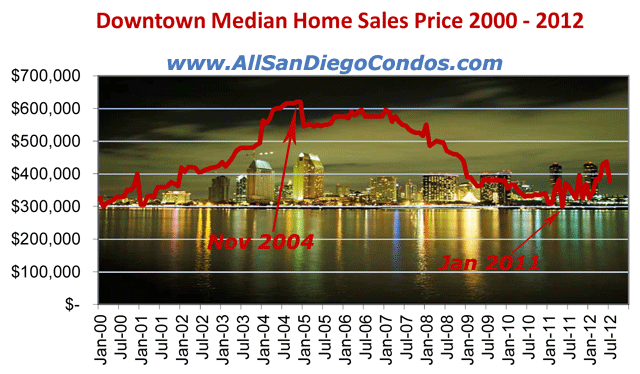 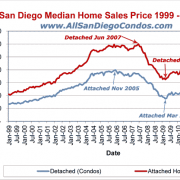 The above chart based on monthly sales data from Sandicor and SDAR, we can see that median sale prices in downtown San Diego reached their highs in November 2004 (at $620,000). 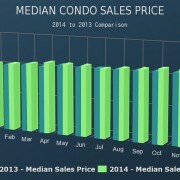 Since then, median sale prices were at their previous low in April of 2009 and reached their lowest in January 2011 at $324,500 in a one month unexpected peak. 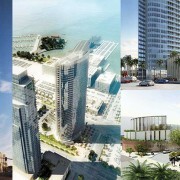 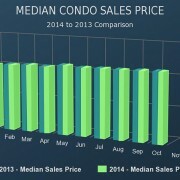 Currently as of July 2012 median prices are at $377,500.